Many in the Medical field consider FlexEffect the best facial exercises for facial aging, Bells Palsy and facial paralyses. Advanced Facialbuilding is taught in hospitals and several medical facilities. FlexEffect’s exercises are designed to build the face for a smoother, firmer and more youthful appearance. Facialbuilding was developed in 1979 by former competitive bodybuilder Deborah Crowley, when she experienced the need to go beyond simple facial exercises. 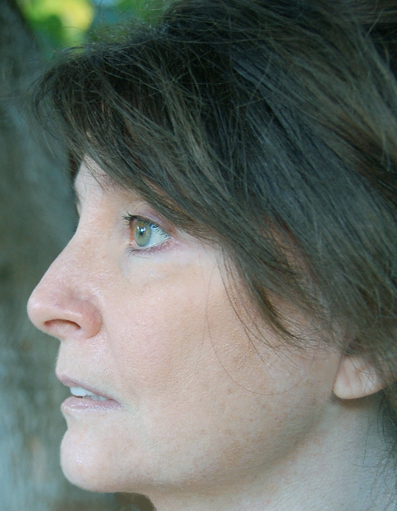 Deborah Crowley pioneered the discipline of Facial Resistance Training™ (Facialbuilding®) and has since helped thousands of men and women overcome the negative effects of facial aging such as facial wrinkles, facial sag, under eye bags, jowls, double chin, dark circles under eyes and more. You will find FlexEffect Facialbuilding taught in Northern California at Mad River Community Hospital to assist patients with residual Bell’s Palsy and facial paralysis. This is A FIRST for any facial exercise program to date. The more informed you are about facial exercises the better equipped you’ll be for choosing the right training format. Many factors should come into play when making that choice such as the condition of your skin; is it loose, thin, or wrinkled. Is there a loss of facial bone? Some indicators are a receding jaw, narrowing of the nose, eye hollows, sagging cheeks, and jowls. With so many facial exercises programs to choose from, the following should prove helpful by shedding some light on their differences and what method of training might be more suited to your personal needs. Facial bone decreases with age, dissolving, shrinking, and leaving empty spaces, as illustrated below. As a result the skin cannot tighten around the skeleton, causing drooping, hollows, wrinkles, nasolabial folds (smile lines), sagging cheeks, jowls and more. 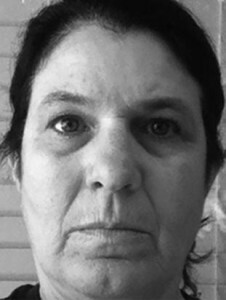 Facial exercises alone can not replace bone loss. Facialbuilding Response: Bone Remodeling – Jolting and Pressure Reps. The diagrams below show where the majority of facial bone is lost. 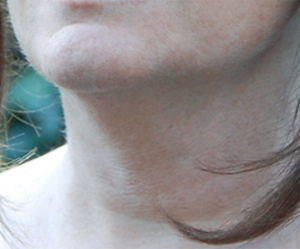 With the loss of elasticity the skin becomes thin and begins to sag causing folds and wrinkles. 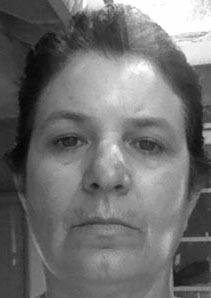 Facial Exercises alone do very little to thicken the skin or replace elastin with stronger fibers. Photos Below: Before and After Cross Stretching – 6 months training. 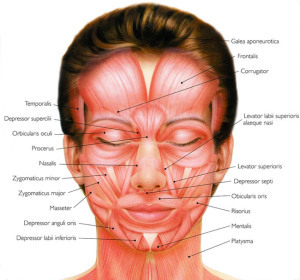 Facial Exercises alone will do much to tone facial muscle and is quite sufficient for someone in their 30’s. Once one reaches the age of 40, hormones typically start to wane (enough said). Only Facialbuilding covers all that is needed to counteract the manifestations of facial aging … this side of cosmetic surgery. Ask any serious Facialbuilder and they will tell you it takes several different variations of contractions targeting the same facial muscle from different angles to achieve their goals. Each exercise works the muscle differently, shocking the muscle, insuring hypertrophy (build). Depending on where you place the resistance different accessory muscles will come into play. Accessory muscles insert into the surrounding area you are training and can greatly enhance the build. Again, as with Facial Exercises; simply targeting the muscle may not be enough! Facial bone-density and the loss of skin integrity may be at the root of the problem and call for a far more involved training program… Facialbuilding. Visit our Facialbuilding page for a complete breakdown on the differences between Facialbuilding and Facial Exercise regarding muscle training techniques and effectiveness. See Below: Free Facial Toning Exercises and Instructions. The following free facial exercises are used for facial muscle TONING only. After a few weeks of toning, advanced Facialbuilding® should follow to further lift, firm and remodel facial contour. These exercises are not for building (increasing muscle density,) they are used to maintain tone. ISOTONICS: For maintaining Muscle Tone. Exercises are to be done daily. Do each exercise 10 times – Hold each contraction for 6 seconds. Open your eyes as wide as possible. It helps to look from side to side. Open your eyes as wide as possible and try to close your eyes using your lower lids. Raise your brows as high as possible. Close your eyes by stretching your upper lids downward lids. Squeeze your eyebrows together and downward, then, return them to the normal position. Raise your eye-brows as high as possible t hen return them to the normal position. Mouth closed, teeth together, squeeze your cheeks inward as tight as possible. Wrinkle your nose then release. Open your mouth and smile as wide as possible. Keeping your lips together, make a wide grin. Do not let your lips turn up at the corners. Roll your lips over your teeth. Open your mouth as wide as possible, then. bring your lips into a tight pucker. Pucker your chin by pushing your lower lip up into a pout position. Open your mouth as wide as possible and tuck your chin into neck. Curl your lower lip down and outward. Bite down using your back teeth. Push your jaw forward, slowly move it from side to side. Pull the corners of your mouth down into a sad face.